Can humanity exist without Pizza??? An internet search would suggest that the answer is no. A Web search for pizza lists 16 opportunities to buy a pizza before the Wikipedia entry on pizza appears. 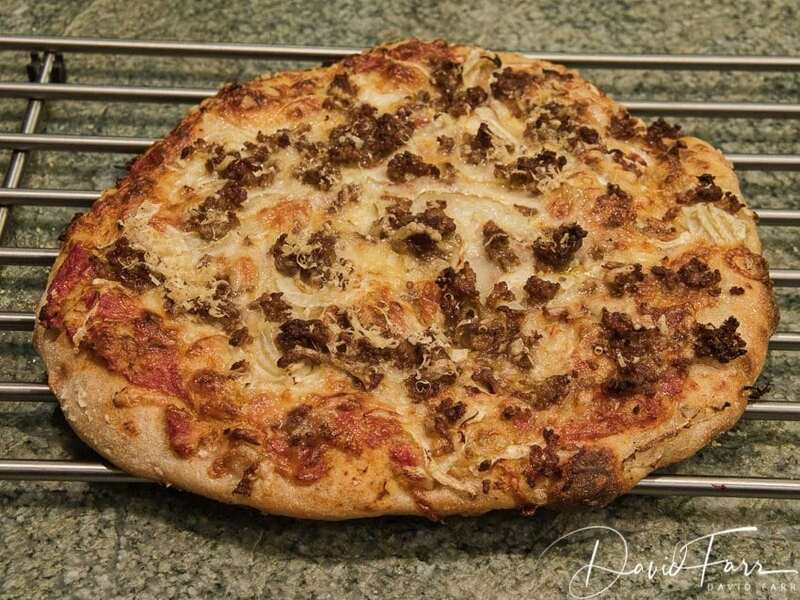 Probably our first hand-made pizza, many years ago, was an "Armenian Pizza"–ground lamb or beef and tomato paste on a thin crust that was tasty (Wikipedia). Over the years I have occasionally made pizza dough but more frequently I have made focaccia–easier and the leftovers are more useful over the next few days. The last couple of years I have made pizza dough using the recipe in 'My Bread' by Jim Lahey. Smitten Kitchen has a variation of Lahey's recipe. I have had good success with this recipe but to get the best result you need to raise the dough for at least 6 hours. If you add more yeast you can reduce the rising time to a couple of hours. 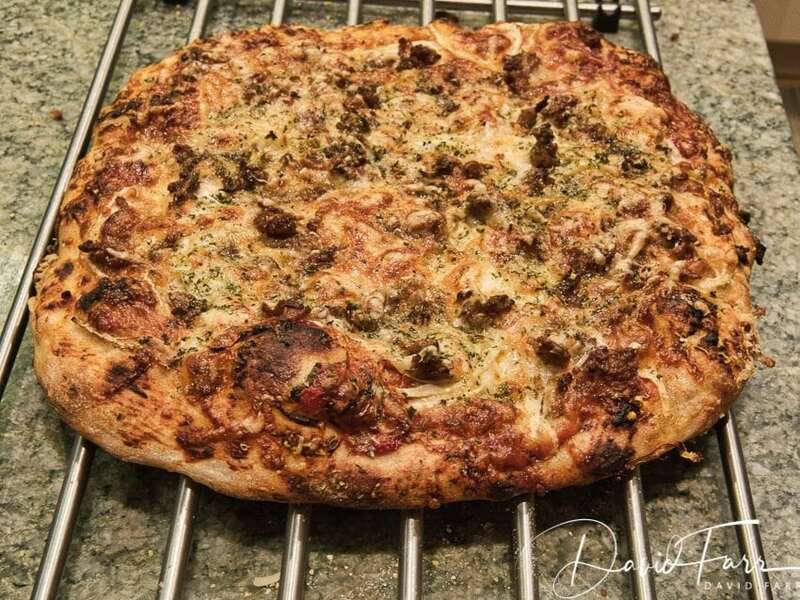 More often we just use Pillsbury Pizza Crust – Thin. Quick and easy. In a previous post, I related my adventure with using a starter culture in place of dried yeast ('Tartine Bread') in making bread. The book also had an entry on using the same dough for a pizza. Will this yield a better pizza? Guess I better find out. The whole process takes about 6 hours so planning is required. Ellen put together a great topping inspired by a recipe in the April 2018 issue of Bon Appetit–tomato sauce, fresh fennel thinly sliced, pork sausage and assorted cheeses. As a justification for the time and effort, we turned the process into a shared event rather than just fixing a meal. 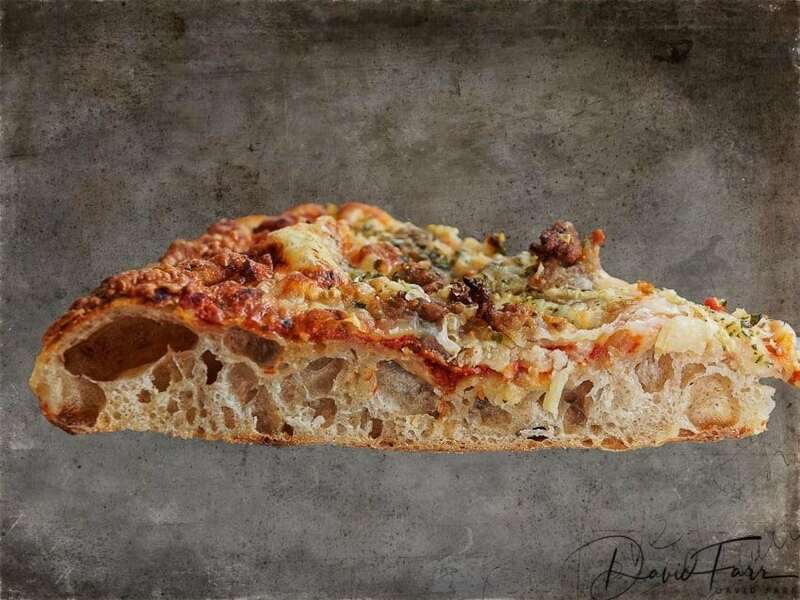 Pizza was a success – tastes as good as the photos look. Will do again when we feel like having a pizza day. A PIZZA PLACE AND THE REST IS HISTORY. Looks delicious even though I just had lunch! You and Ellen are a cooking team, that’s for sure. And, having the patience to wait six hours for dinner, that takes some strength. We are back here in rainy Oregon with memories with good food with you and Ellen. Take care!